The National Archives of Australia recently ran an exhibition ‘A Ticket to Paradise?’ which explored the dream and the reality of migrating to Australia decades ago. It looked fascinating, but I missed the exhibition by a day, so I’ve made a more concerted effort of late to see and experience some of the events on offer before it’s too late. Today, on Easter Sunday, the whole CBRbound family, along with guests from out of town, went down to the Museum of Australian Democracy at Old Parliament House. The museum had put on an Easter trail where, by following a map and a series of clues, the kids could collect vouchers for a free bag of Easter chocolate. The prospect of free sweets was a smart incentive by the museum and it allowed me to sit with mini- and maxi-CBRbound, in the old House of Representatives and Senate debating chambers, and talk to them about how laws are made, how society is shaped by those laws, and how Australia took some momentous decisions within these same walls. 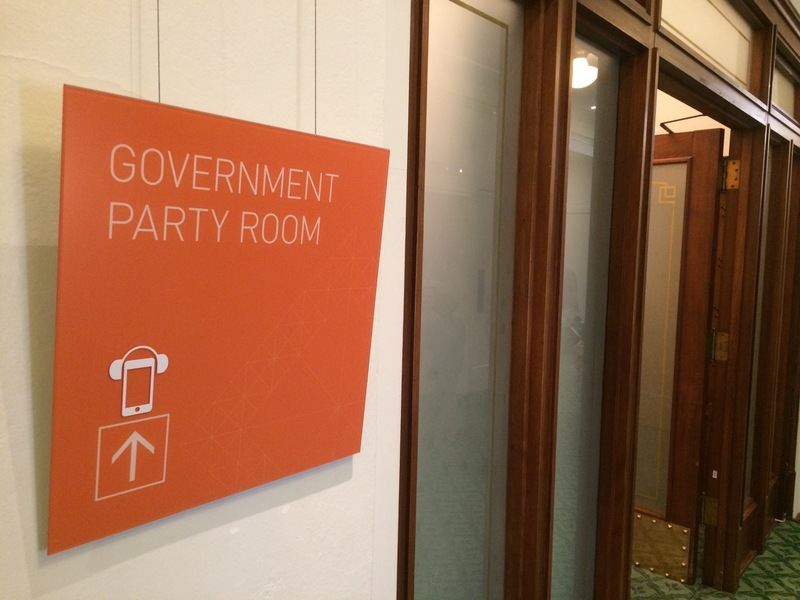 The only disappointment for the kids at Old Parliament House — the party was nowhere to be found. The kids were impressed enough that, when I told them it was possible to visit new Parliament House and actually see a debate in progress, they immediately asked if we could go. So we will. The importance of the decisions taken by parliament was made more solid to them by our visit, a few days earlier, to the Australian War Memorial – visible from both parliament buildings so that politicians contemplating sending soldiers to war could easily see the monument to the fallen of previous campaigns and be in no doubt about the consequences of their decision. 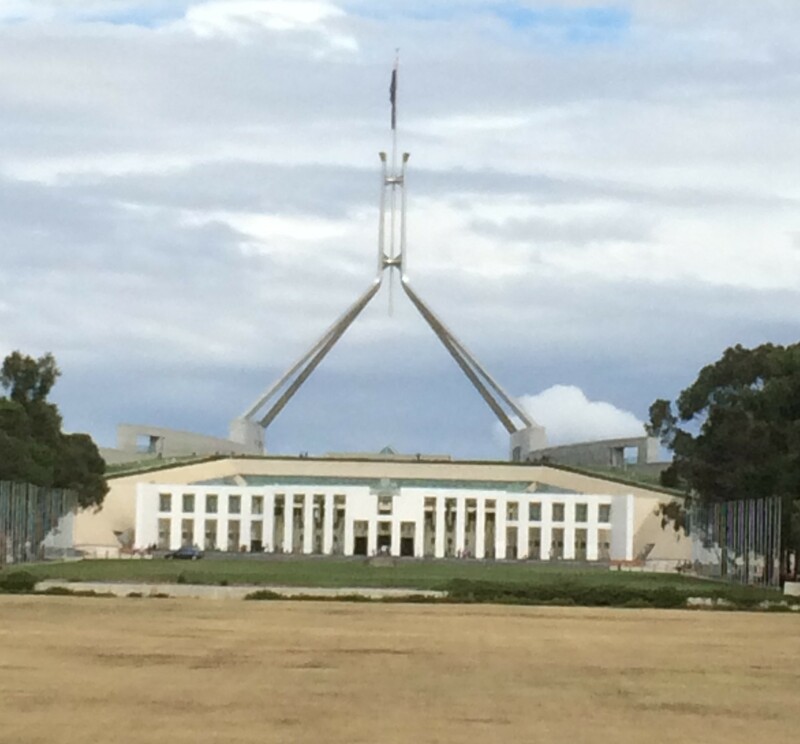 Parliament House, which overlooks the Australian War Memorial, will be a future destination. We’d visited before. The memorial at the front of the building actually gives way to an impressive museum of Australia’s military history, with major exhibits on both world wars, an interactive learning zone for kids and an impressive aircraft hangar with aeroplanes from the early days of flight all the way up to the jet age. A preserved Avro Lancaster bomber with the call-sign G for George is a particular highlight. After our last visit, a friend and local businesswoman asked if we had stayed for the last post ceremony as the museum closed. We hadn’t, but this time we decided we would. It was a wise decision. The day’s crowd begins to congregate outside the tomb of the unknown soldier at about 4.30, in anticipation of the ceremony at 4.55pm. This is no museum piece. This is a raw service of remembrance, here and now in the 21st century and is an important, if not crowning lesson that places all the museum’s exhibits and film shows into perspective. It begins with a few house rules, then a piper plays to open the ceremony. A serving member of the forces then reads a eulogy, paying tribute to a specific serviceman – in this case, Sergeant Alfred Windsor Rochester from Inglewood, Victoria, one of the fallen at Gallipoli. A wreath is laid at the tomb and a bugler plays the last post. There is silence, some sobbing and a weight of human thought about the real-life cost of going to war. It’s impossible not to be moved by the exhibits at the Australian War Memorial. My children were respectful, and I told them how, at my old school, on 11 November each year, even now they hold the same ceremony and read out the names of the school’s former pupils who fell in Flanders, Passchendaele, Tobruk and elsewhere. As the bugle faded, three birds flew in through the door of the unknown soldier’s tomb, then the piper, bugler and airman who had led the ceremony followed them and closed the door. Silence, except the fluttering of wings. Which was more poignant than anything anyone could have said. The first world war looms large in Australian history, particularly that ill-fated mission to capture Gallipoli. As the 100th anniversary of that landing approaches, the War Memorial gave us a real connection with the emotion that stubborn Turkish peninsula evokes in this country. There are more Australian stories for us to uncover, but, I suspect, few that will cut so deeply and so painfully to the heart of this nation. You are right, we are so lucky here with our museums and galleries, and the fact that they are still relatively easy to get to and to park at (on weekends, anyhow). Actually, I think paid parking has made it easier for the occasional visitor, if not for commuters. Certainly the first time we visited Questacon it was near impossible to park. Our most recent visit was much easier. Actually, I totally, completely, wholeheartedly and thoroughly agree with you. I gave up going to the Parliamentary Triangle during the weekdays around 2000 because it became impossible. I’m very happy to pay for parking to be able to go. Paying for a couple of hours parking is not a problem I think for the peace of being able to park. I think it was getting outrageous that these public institutions could not be accessed by the public. 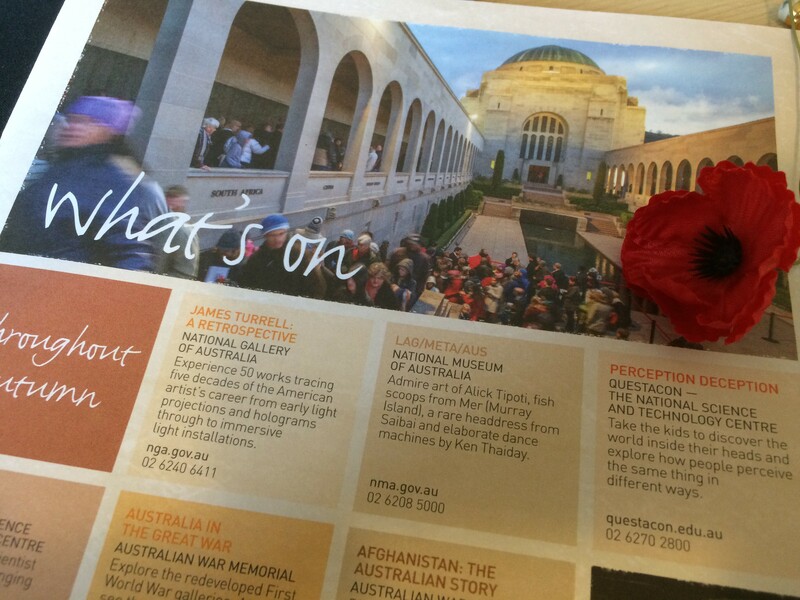 Wholeheartedly agree on your piece about the War Memorial museum. 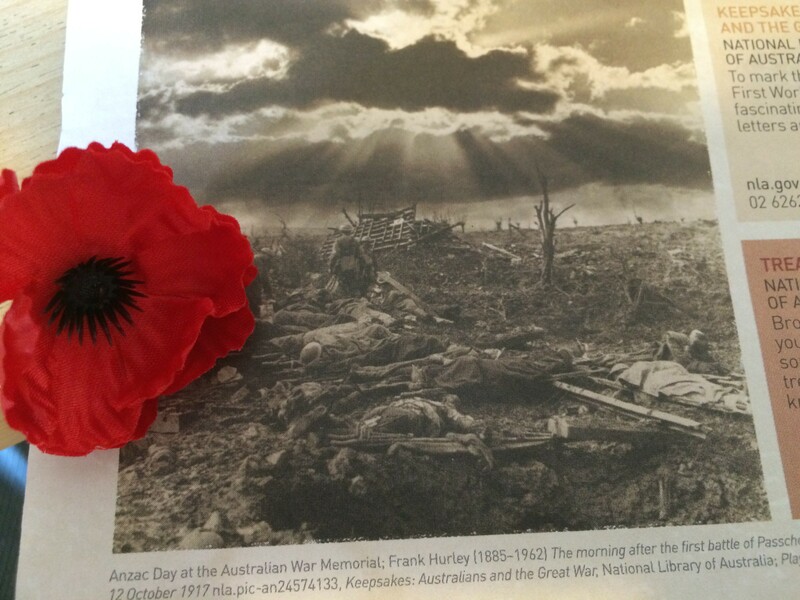 Visited Canberra twice and both times went to the museum and both time was moved to tears for the loss of lives, the cost of war and the non-bombastic way all of this is portrayed. Best museum/memorial in the world (I’m not an expert of course but still…) Will visit again as soon as we arrive and stay for the last post.